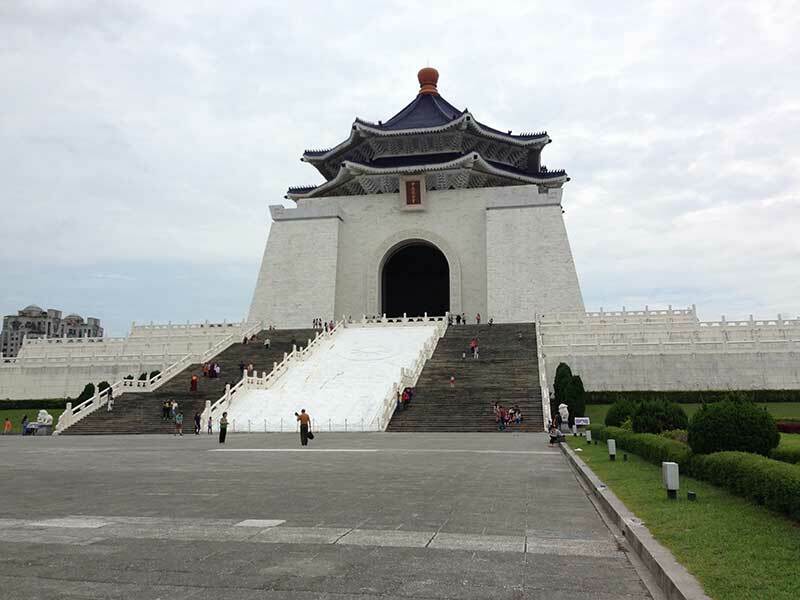 Living in Tokyo from July 2014 I decided to spend a weekend in Taipei on Taiwan. 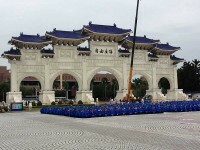 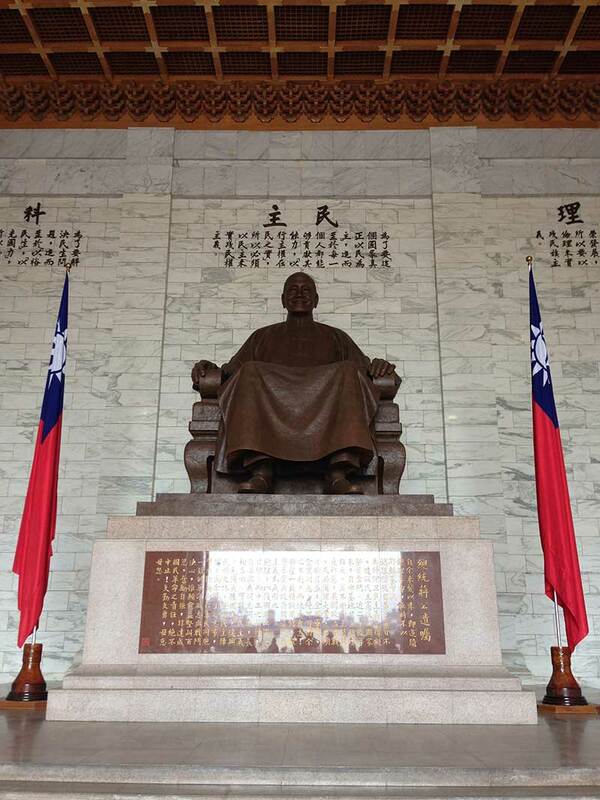 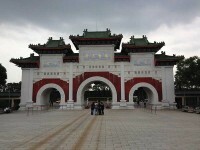 Taiwan is an island in the Pacific Ocean, separated from China Taiwan Strait. 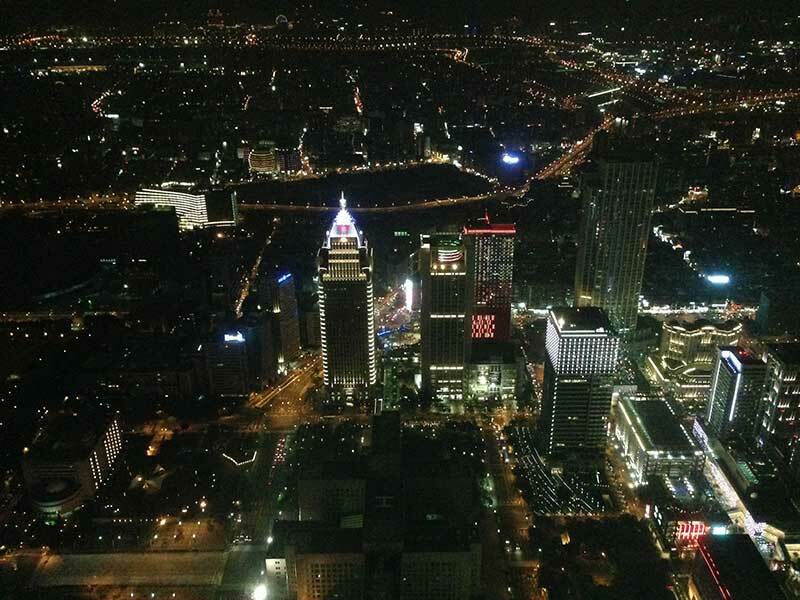 After a few hours of flying a plane I was in Taipei. 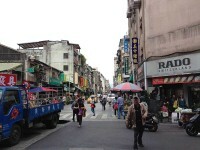 My first impression when I rode the bus from the airport to the hotel was that I’m back in Bangkok. 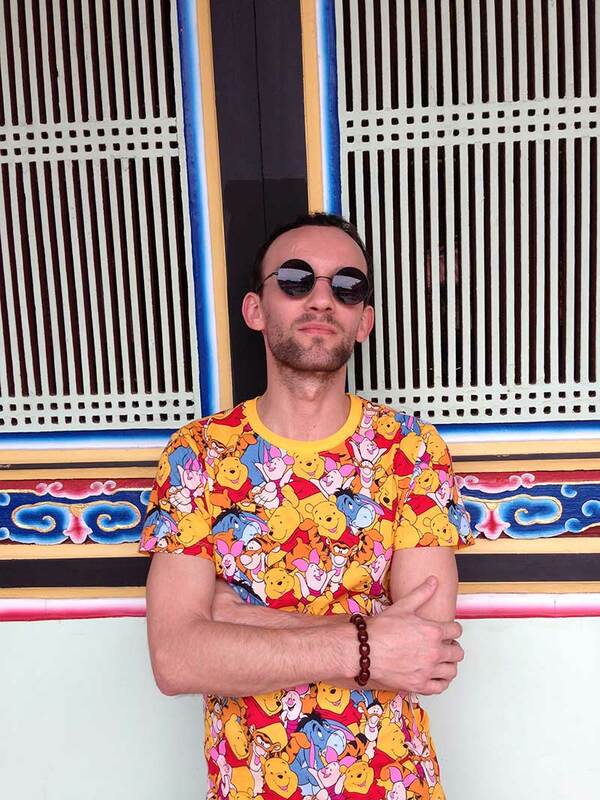 The tropical climate, colorful, crowded streets, beautiful temples and street bars and restaurants – memories of Bangkok. 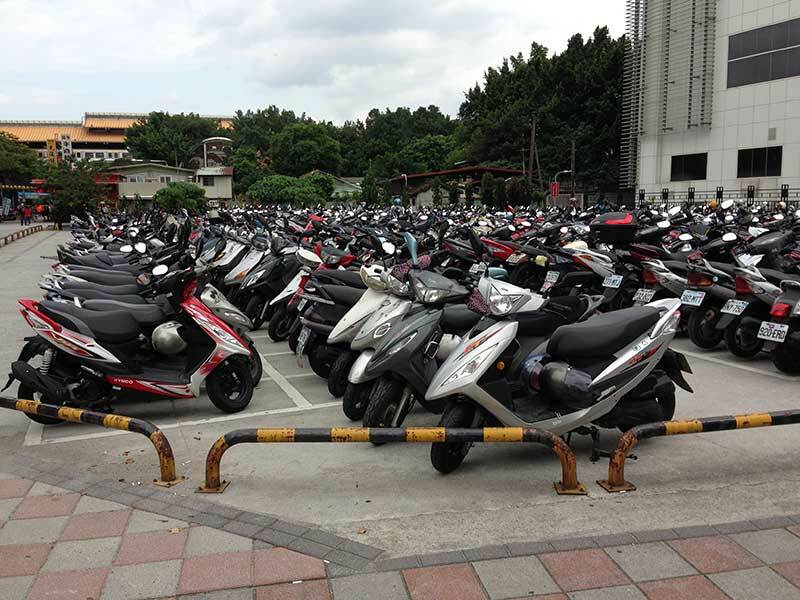 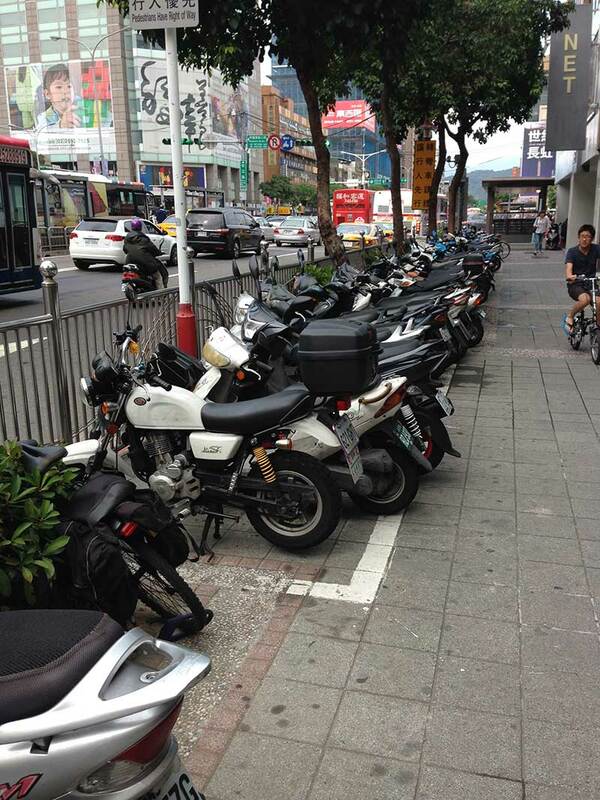 A lot of residents of Taipei moves through the streets of scooters. 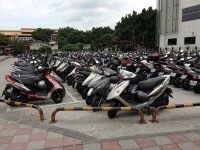 I’ve never seen such an amount of scooters riding through the streets and parked in every available space. 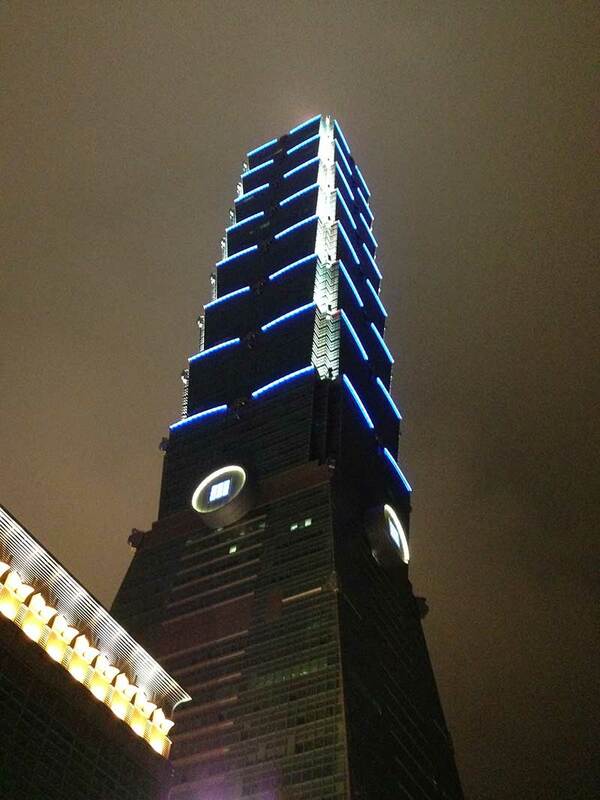 Another thing that caught my attention was Taipei 101 Tower, which is visible on each side of the city. 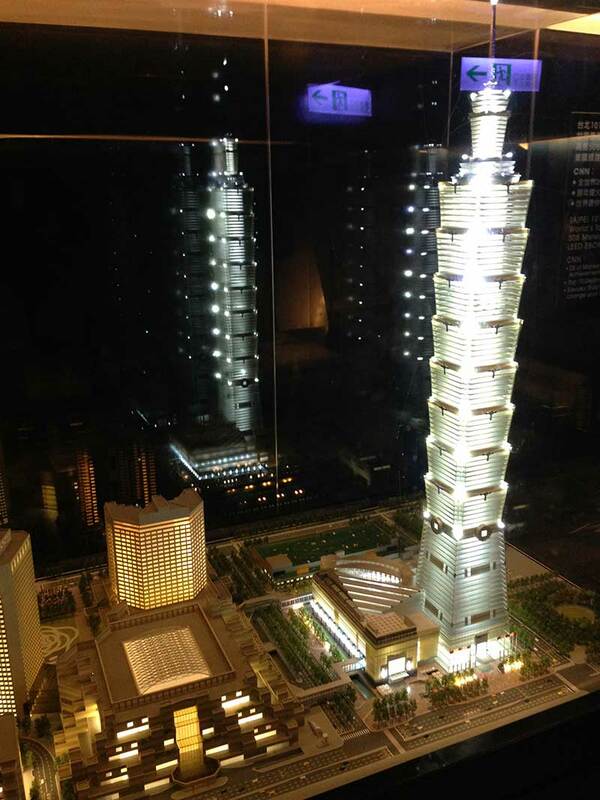 Tower has 101 floors. 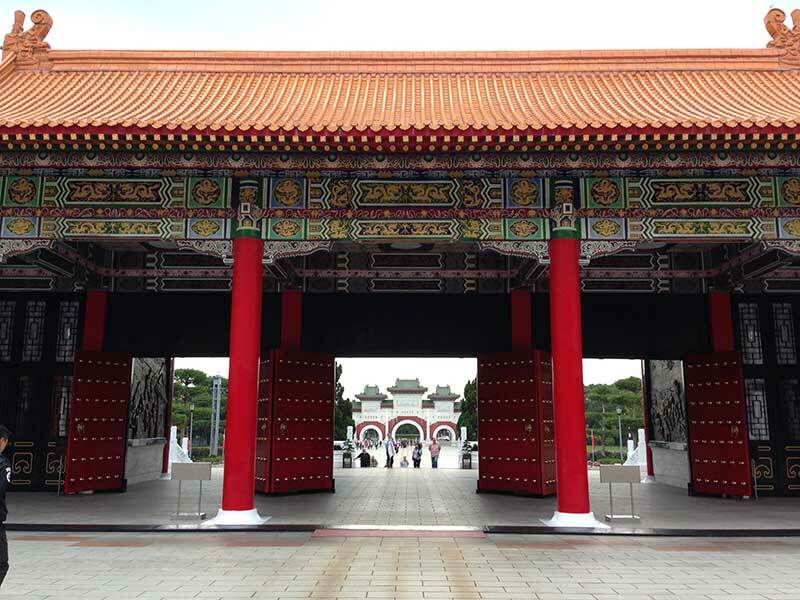 Postmodern architecture building combines elements of traditional and modern, referring both to the Asian cultural sphere, as well as trends in global architecture. 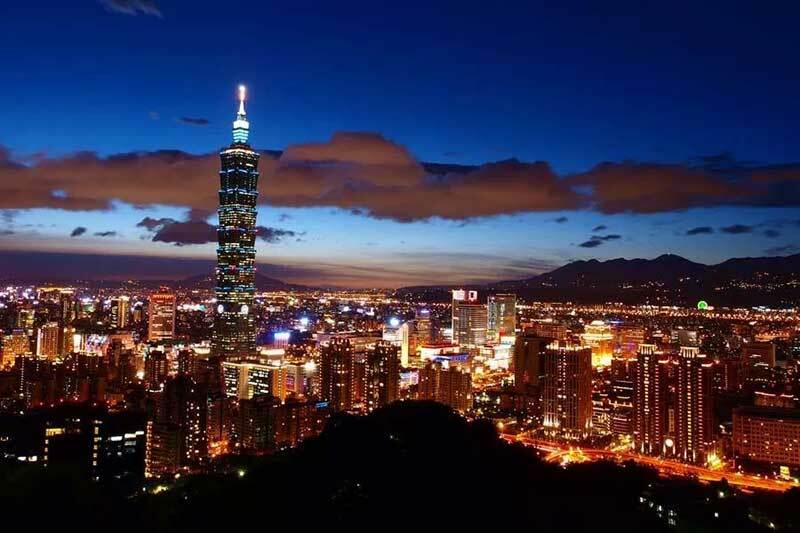 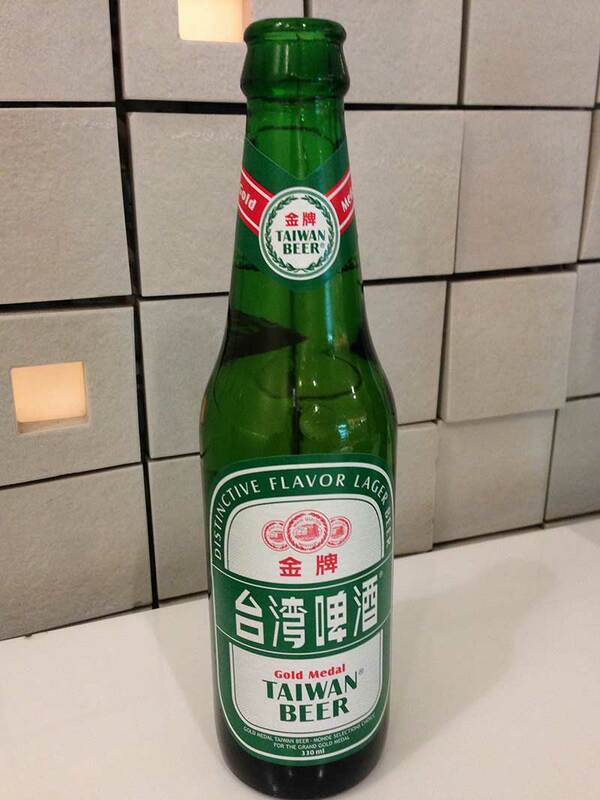 The name of the tower refers not only to the number of floors, but also the position of the building in the international business district in Taipei (it has a zip code containing the number 101). 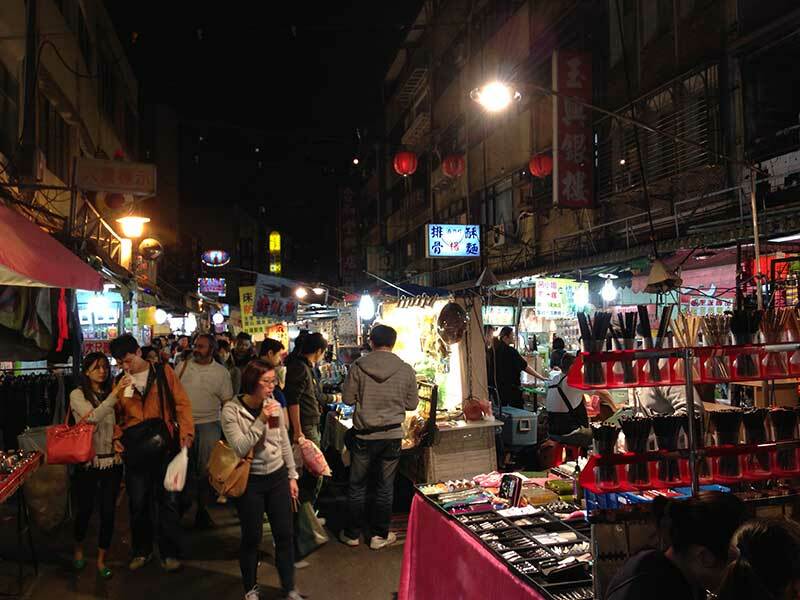 After checking into the hotel, I went to one of several night markets – street markets with food, clothes, jewelry and souvenirs. 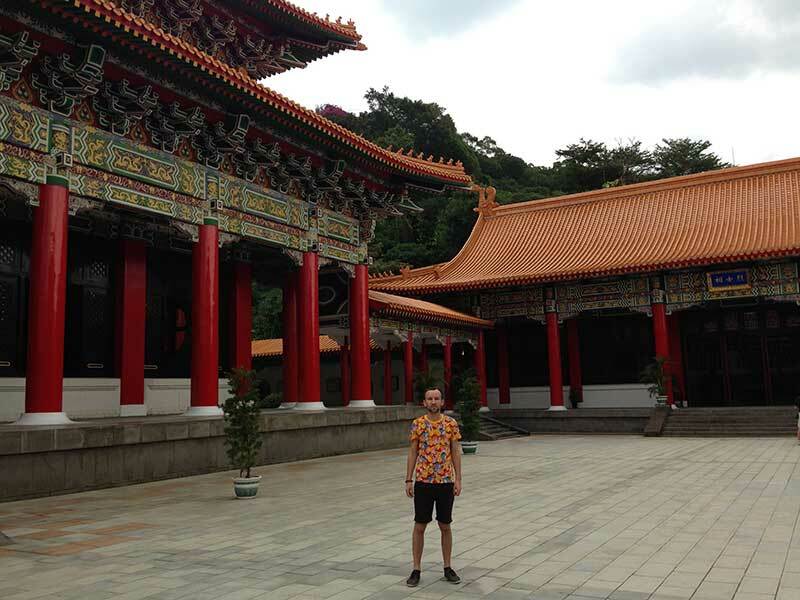 T-shirt in which I am on the most pictures come from this place. 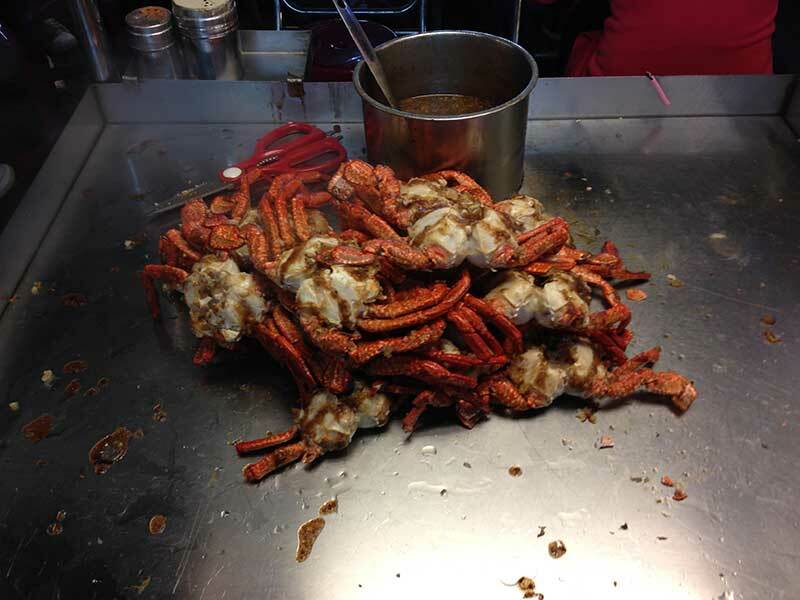 Night Market is above all a feast for the eyes. 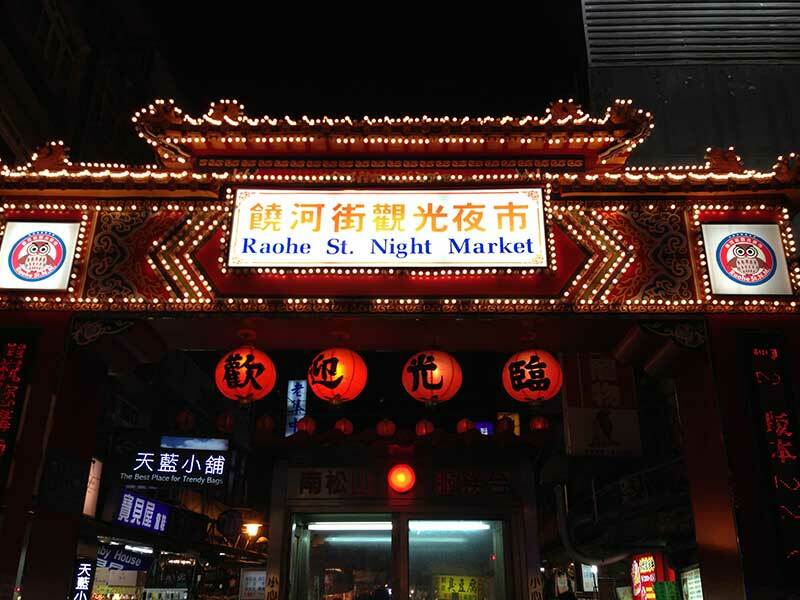 In this place you will discover new flavors and smells. The next morning I started to explore the city and surrounding temples. 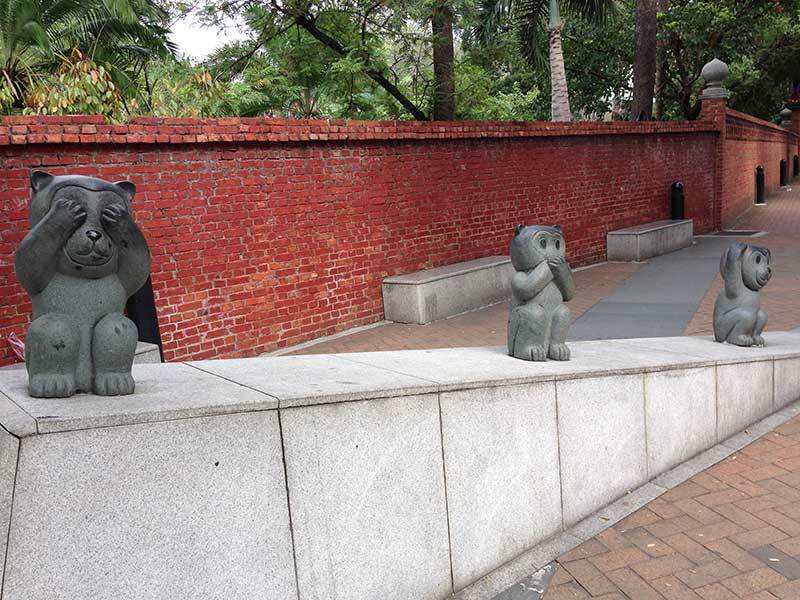 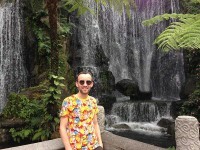 I made a list of the most important places in Taipei. 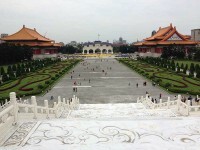 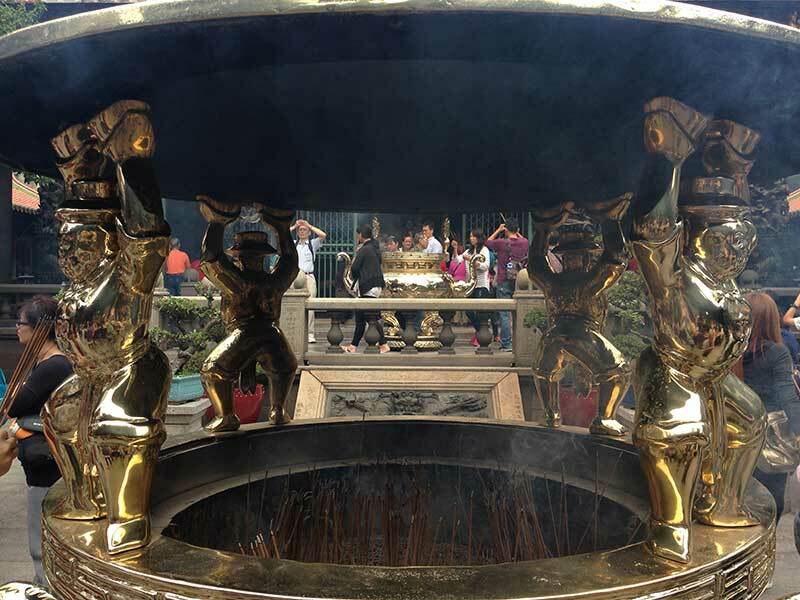 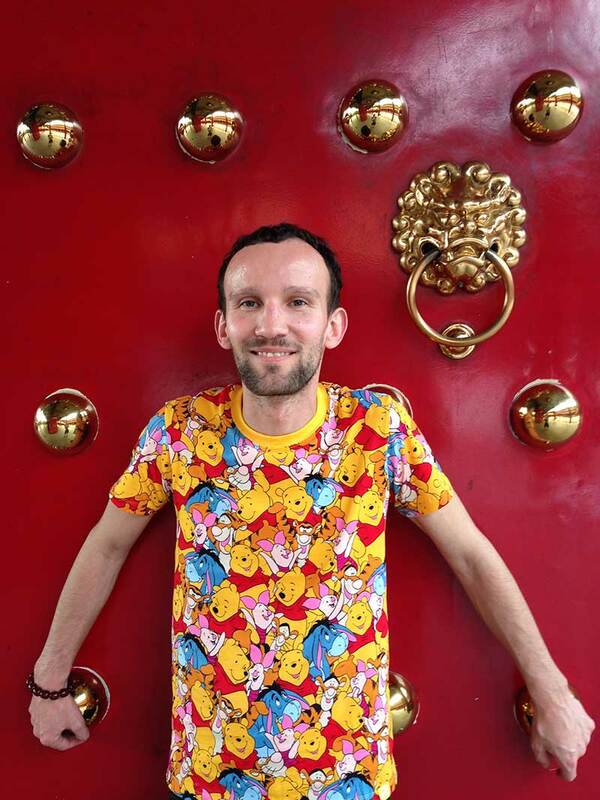 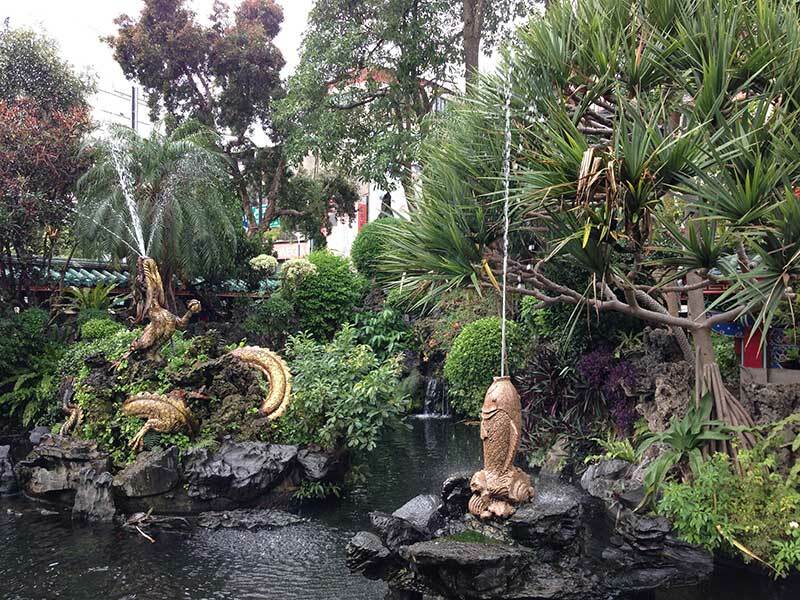 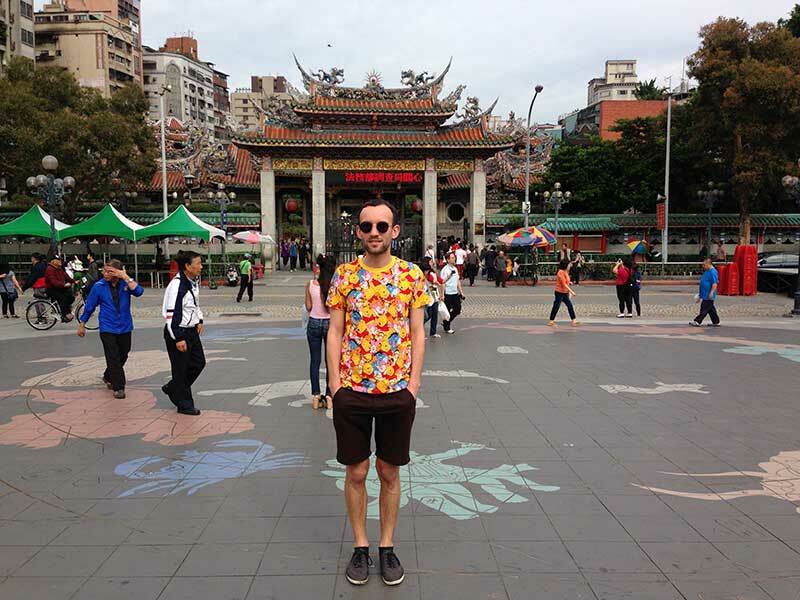 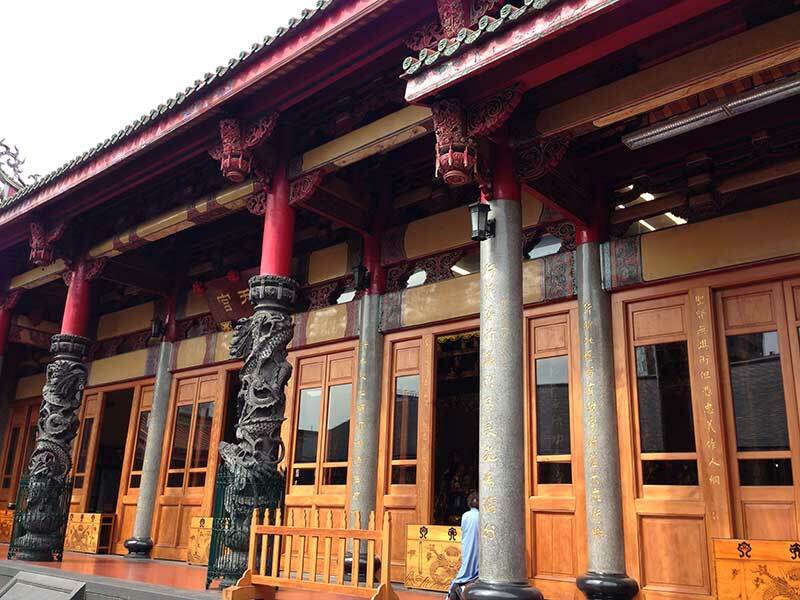 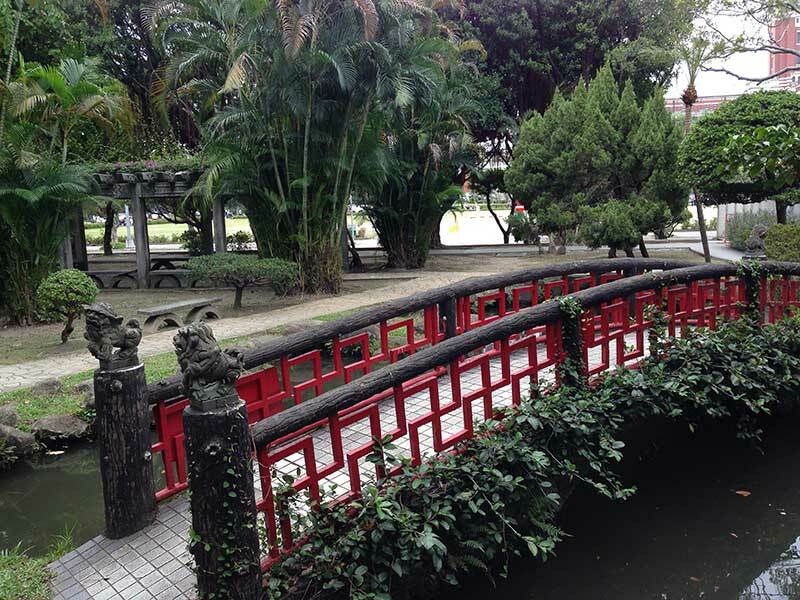 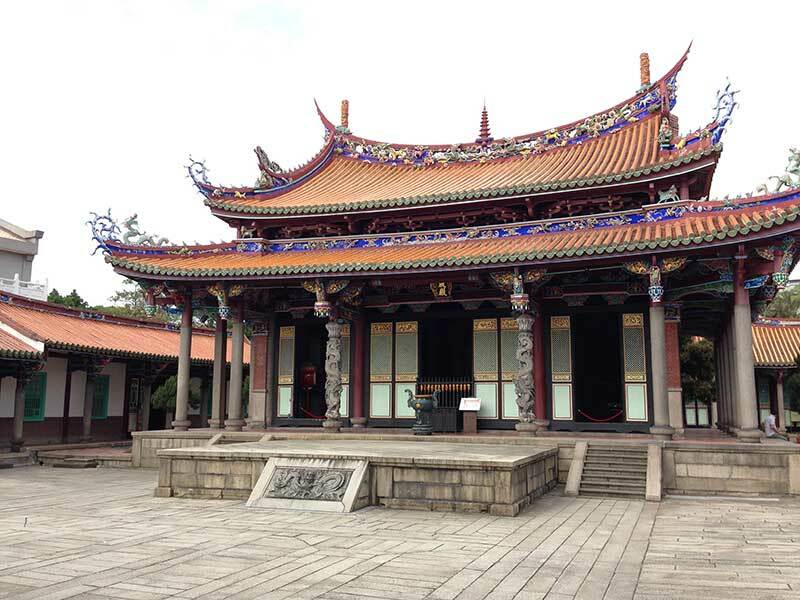 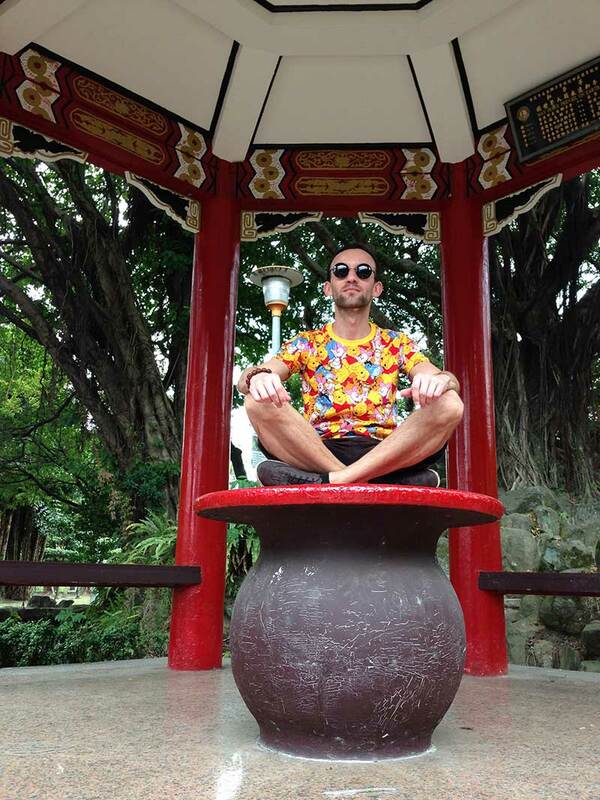 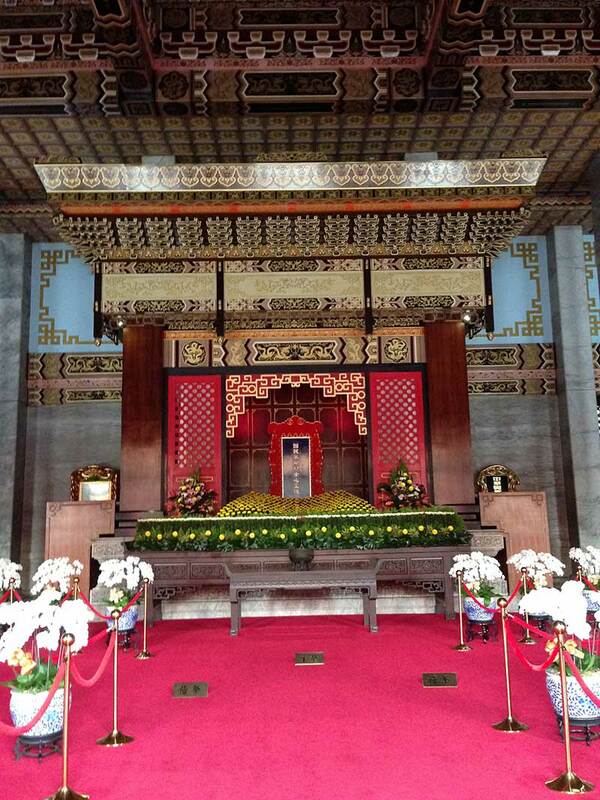 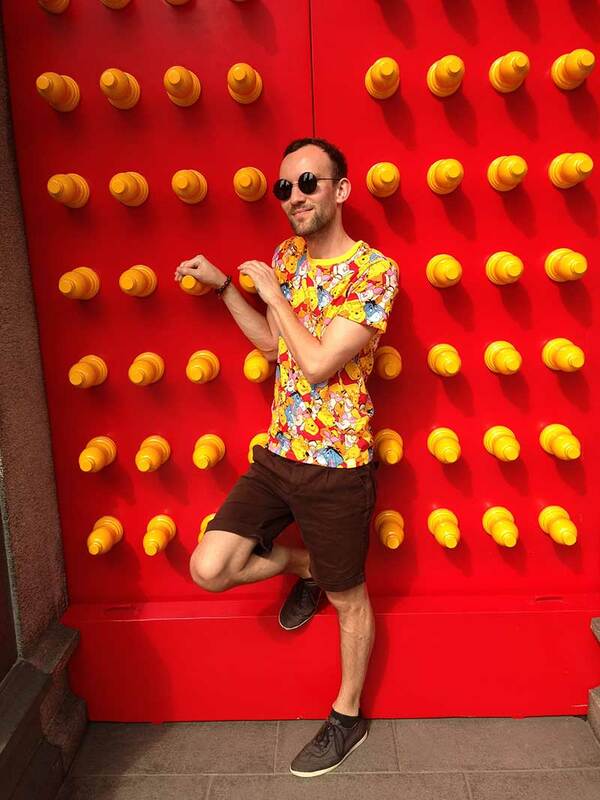 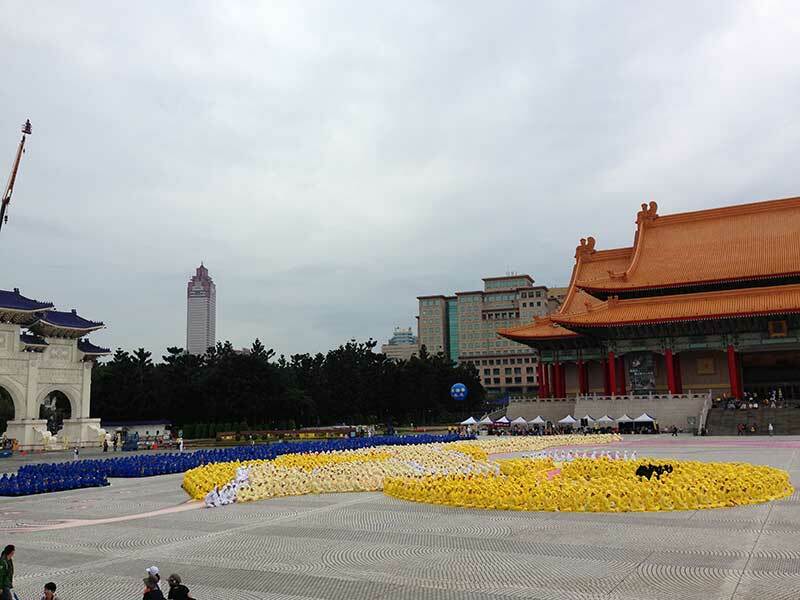 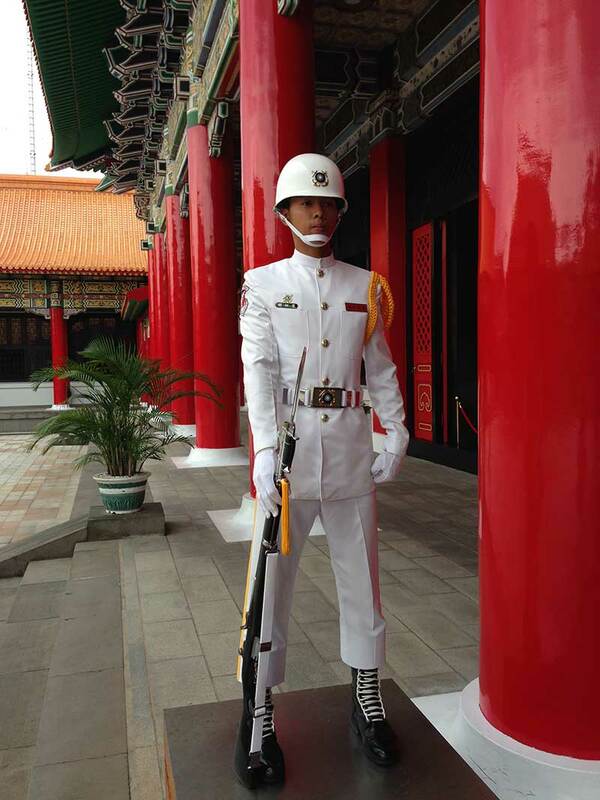 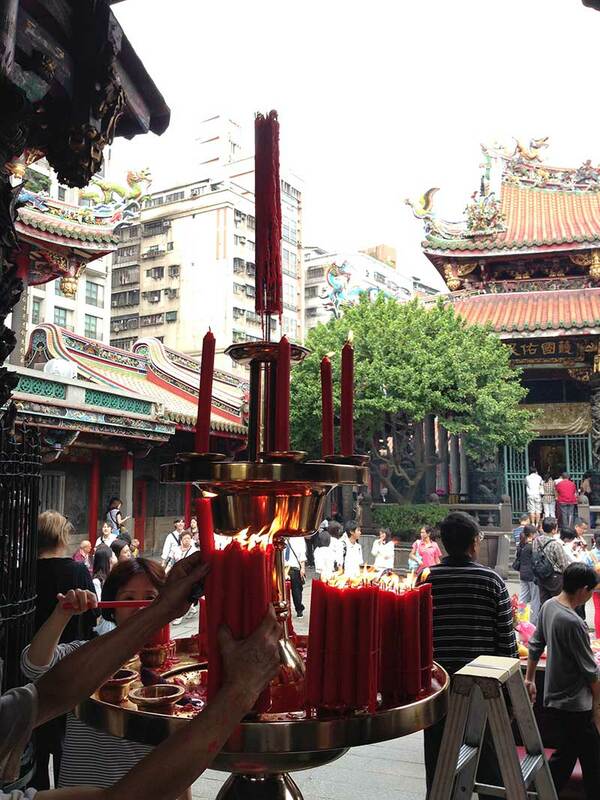 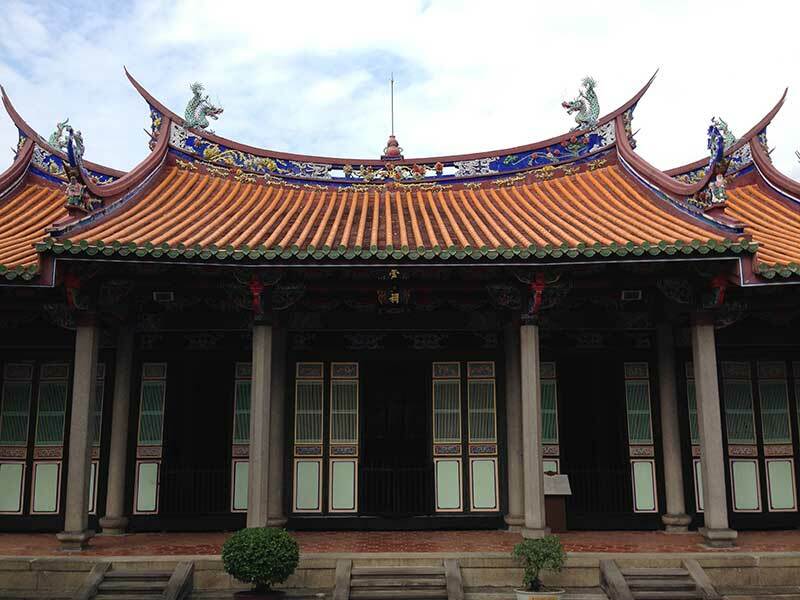 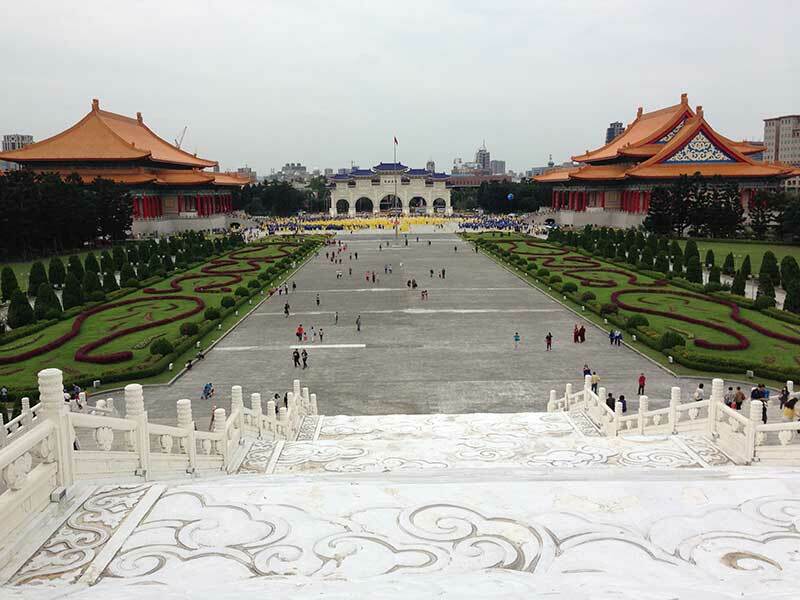 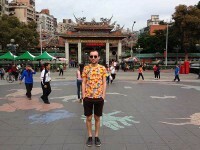 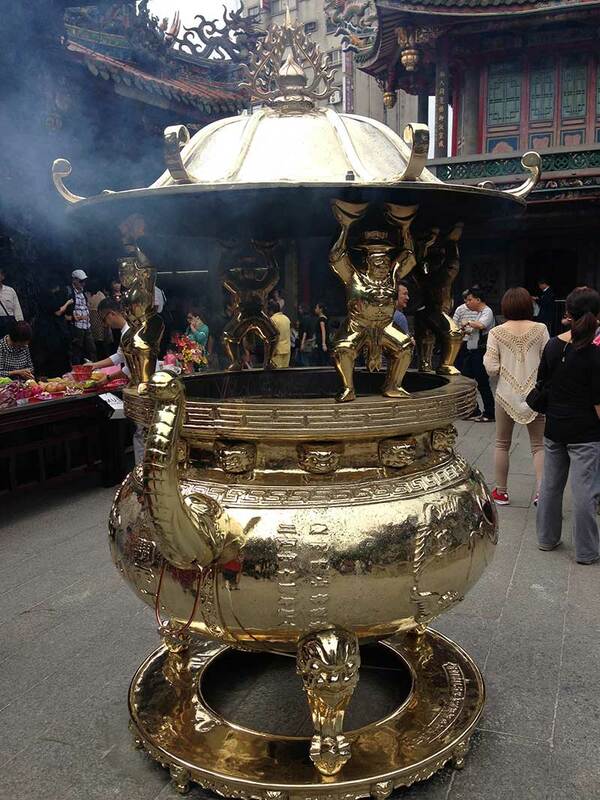 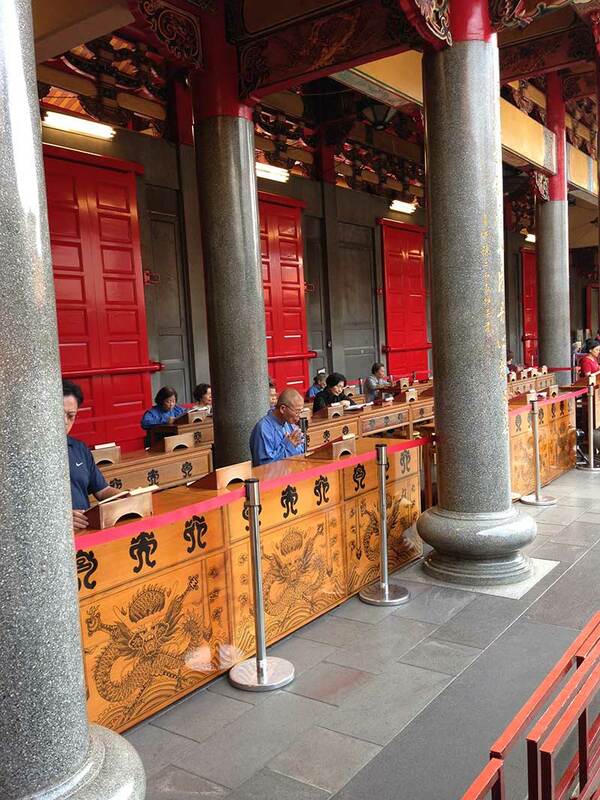 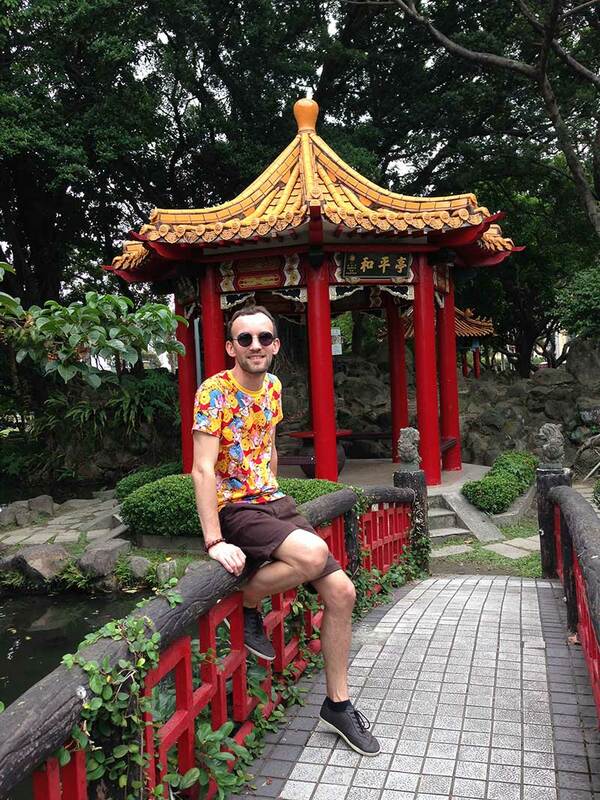 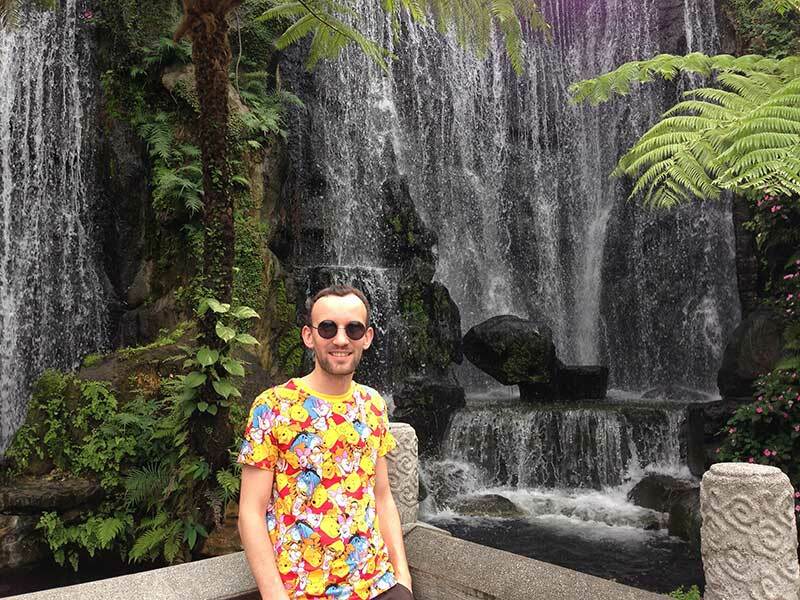 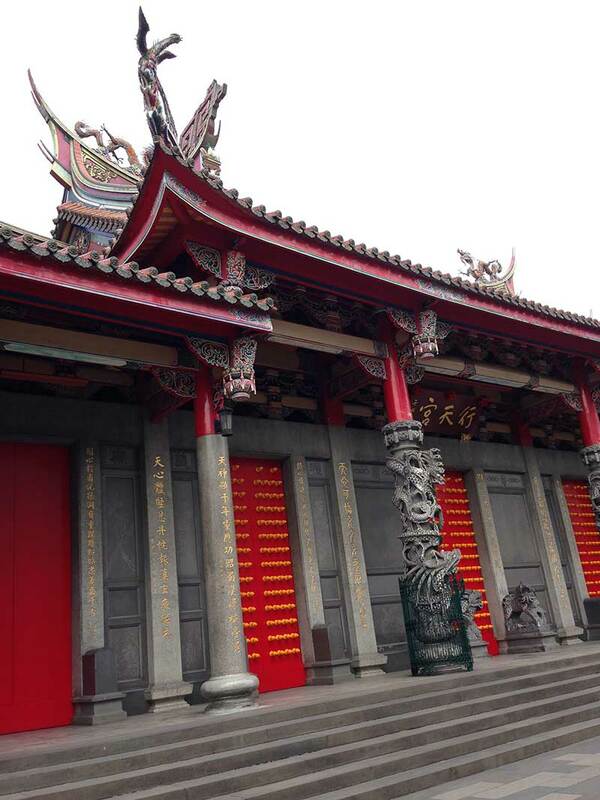 First stop – Longshan Temple, which is one of the biggest attractions of the city. 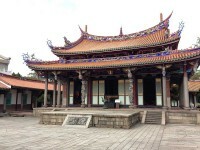 A small temple consists of three stacked parallel to each other pavilions, surrounded on the east and west smaller buildings. 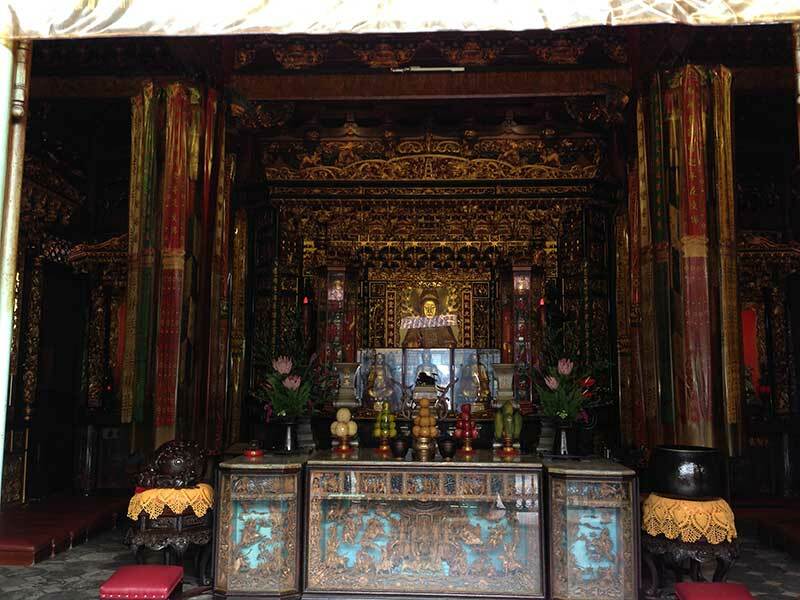 The ornate temple has many sculptures, including a huge statue of Buddha in the central pavilion, the walls are covered with numerous sayings and fragments of poetry. 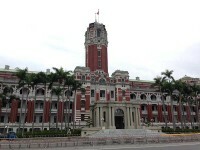 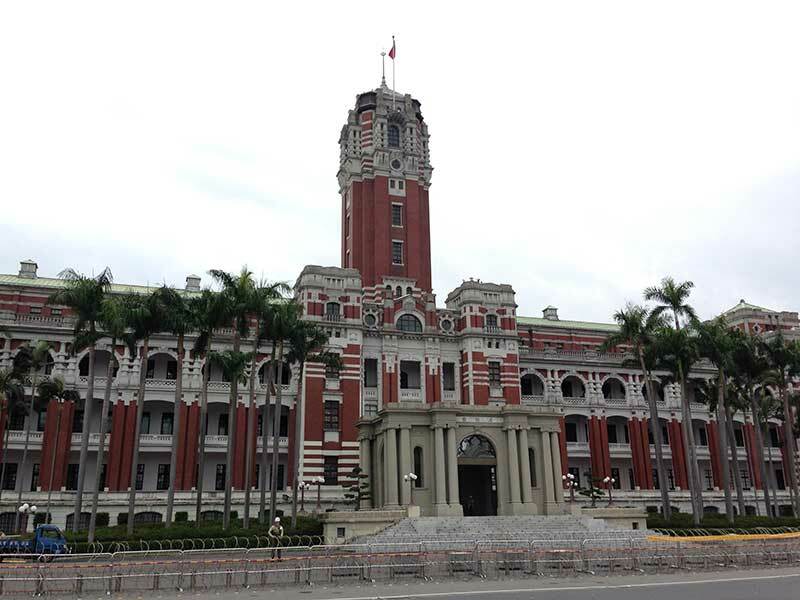 Then I went to the Presidential Palace, which is entirely built of red brick. 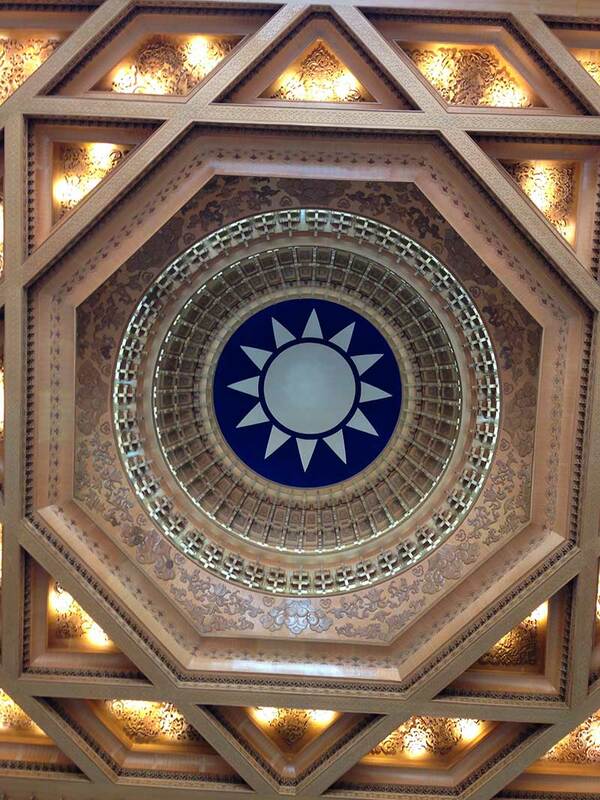 Another point of visiting was the Memorial Hall where I could see a crowd of praying people. 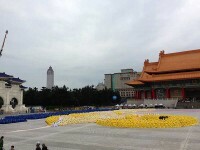 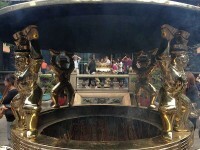 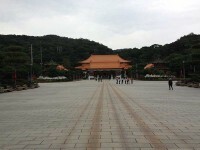 Next I went to the Xingtian Temple. 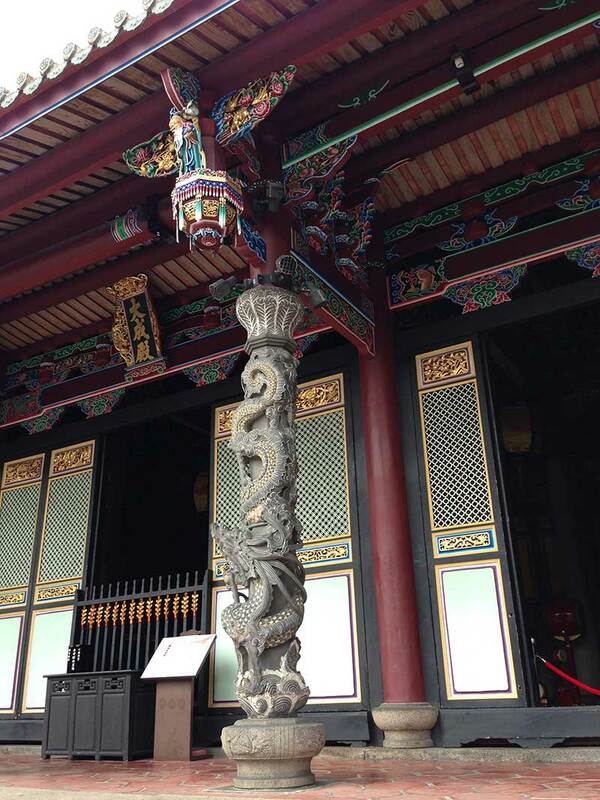 Dragons are dominant ornamental motif in this temple. 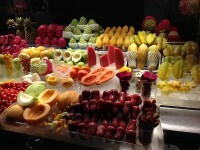 There are tables where residents make offerings in the form of fruits and flowers. 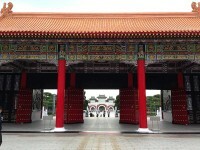 Most caught my attention the red doors. 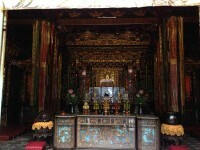 Another temple charmed me the colors and simplicity. 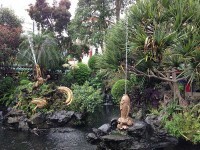 No fancy decorations, sculptures, paintings gave this place a calm atmosphere. 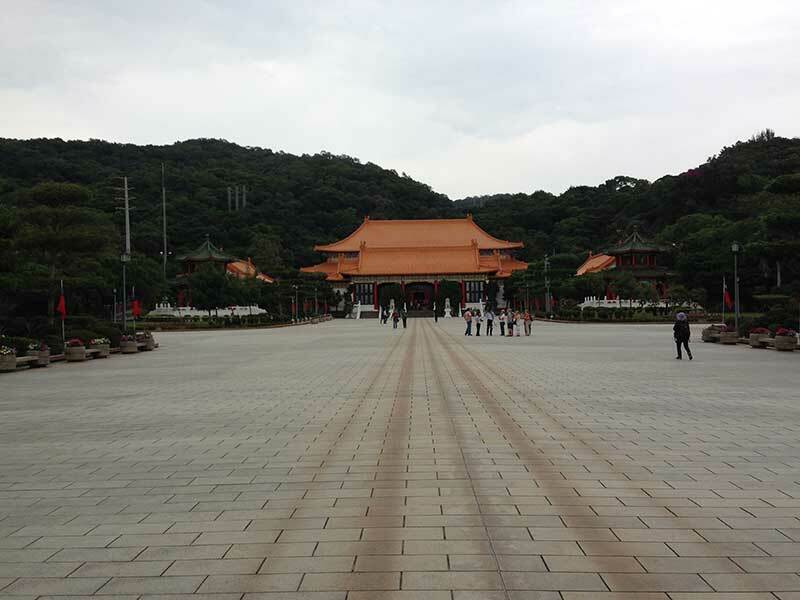 The last temple – Martyrs Shrine, situated among greenery and mountains, was really amazing place. 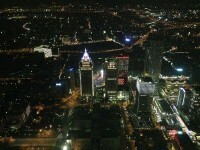 I finished the day enjoying the view from Taipei 101 Tower. 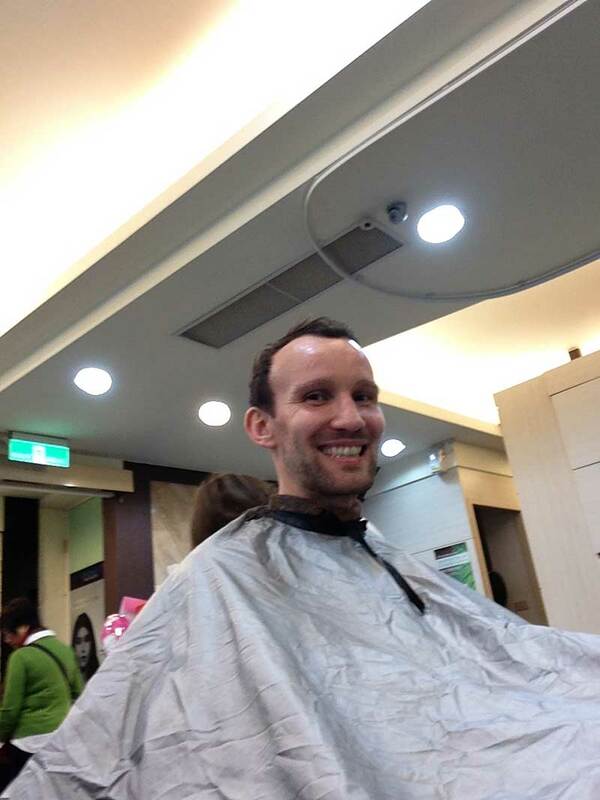 The next morning before the flight I decided to go to the barber shop in Taipei. 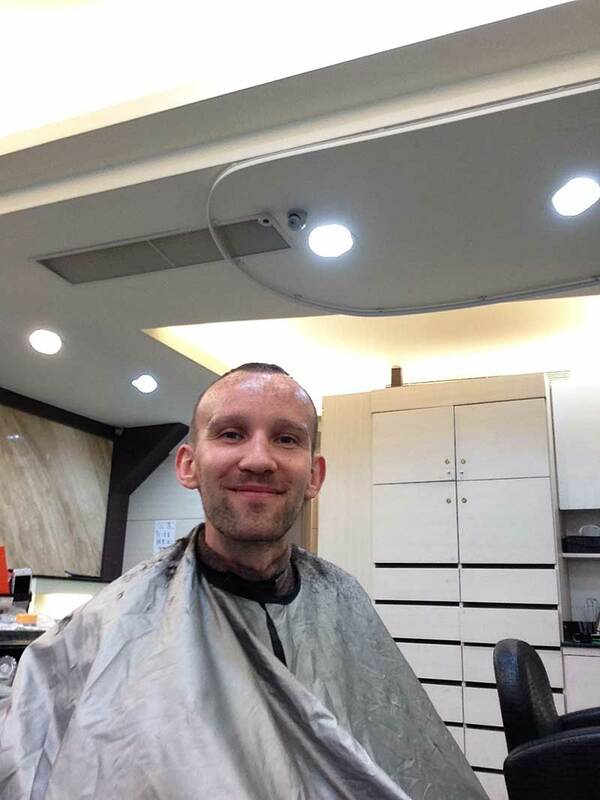 It was hard to communicate with the service in the salon, because no one spoke English, but ultimately I’m happy with the visit. 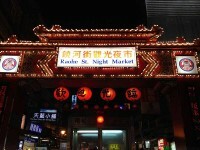 With my new haircut, I went to the airport and came back to Tokyo.